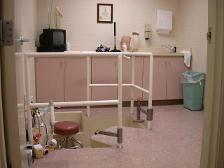 Sunny Hills Prosthetic Services, Inc. is an ABC Accredited facility with certified specialists. We are an independent and locally owned company located in Fullerton, CA. Sunny Hills provides AK, BK and upper extremity prosthetic services, upper and lower extremity orthotics and spinal bracing. We provide both custom and off-the-shelf services requested by your physician. Our goal is to provide the most cost-effective, expedient and high quality care possible. We maintain our high standards in regards to the materials we use, the efforts we make, and the expedience of our services. Our patient care center includes an on-site fabrication laboratory which expedites turn around time for customized items, needed alterations and adjustments. 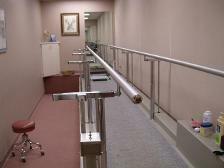 Our gait room consist of a 22' electronic rail system with an elevated cat walk, which allows our certified prosthetist to work at eye level with your prosthesis. 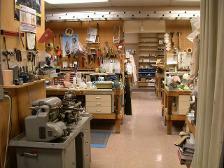 Our customized casting rooms have practitioner "pits" that allow them to provide quality care at eye level as well.